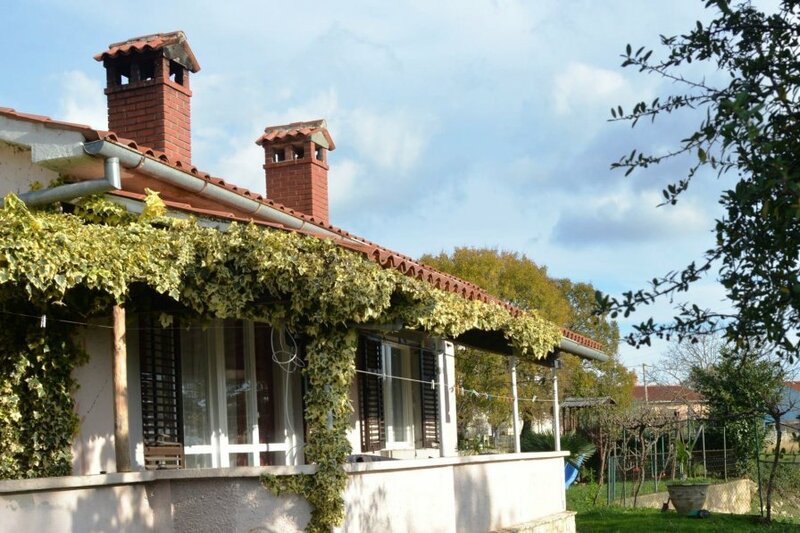 This 3 bedroom house with swimming pool is located in Nedešćina and sleeps 8 people. It has parking nearby and air conditioning. Beautiful house with located in Nedescina village only 7 km from the sea near resort Rabac, offers accommodation in well-equipped house. Holiday home Eda *** offers accommodation for 6-8 persons in three bedrooms (3double (2 of them have own tv in the room)+ 1 sofa in living room). On request it is possible to get a baby bed. The house is air conditioned. Includes a child playground next to the house. Approx 12o m2 offers complete comfort for8 people. The house consists of an entrance hall, kitchen with a dining room, a 3 bedroom with a double bed i, 2 bathrooms with a shower, one washing machine, and living room with high-quality large sofa that turns into bed. It is possible to make a bed the size of a double bed and a sofa. Holiday home is air conditioned. The kitchen is fully equipped (fridge, , oven, microwave, dishwasher, hood). The living room has TV with satellite programs also 2 of 3 bedrooms have a tv in bedroom. WiFi is available in the house (free). Holiday home also have a big seasonal swimming pool dimensions 7x3, so you can relax and enjoy in outside area. Parking is on the property secured. Linens and towels are in the holiday home are change after a week’s stay or upon request. Located in Nedescina, only 7 km from Rabac with the most beautiful beach on Adriatic.